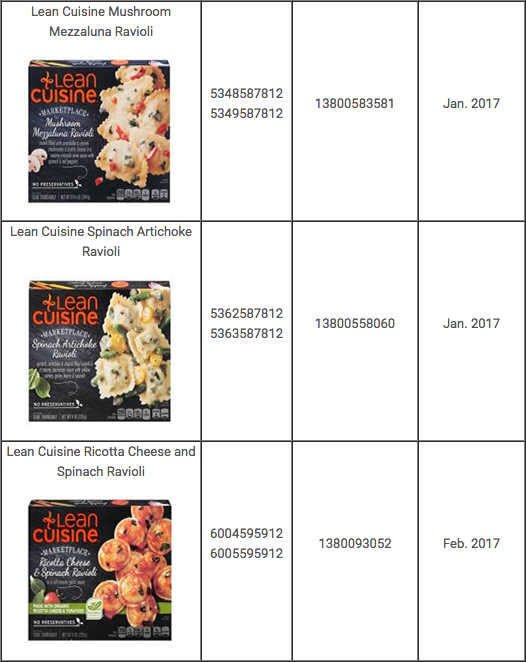 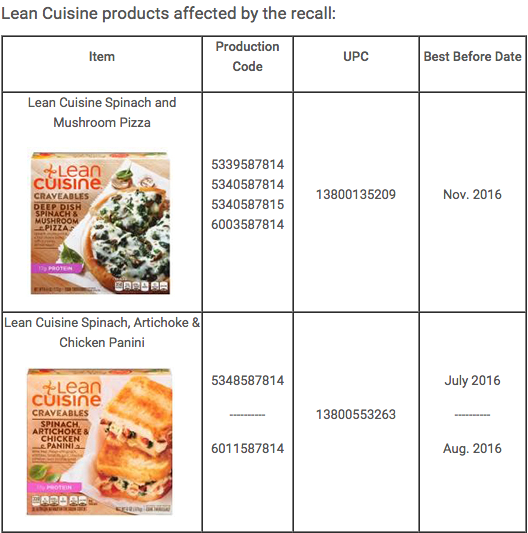 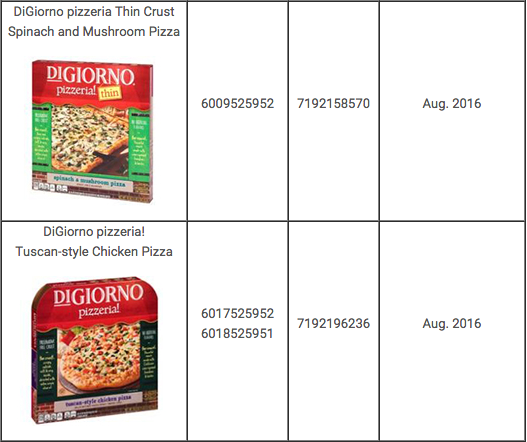 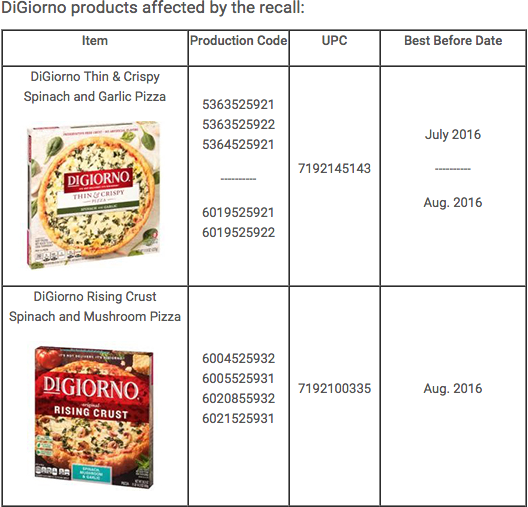 Take a moment before you pop that pizza in the oven or start the clock on your microwaveable frozen meal: Nestlé USA is recalling almost three million total boxes of frozen food, including some DiGiorno pizzas, Stouffer’s lasagnas and Lean Cuisine meals. 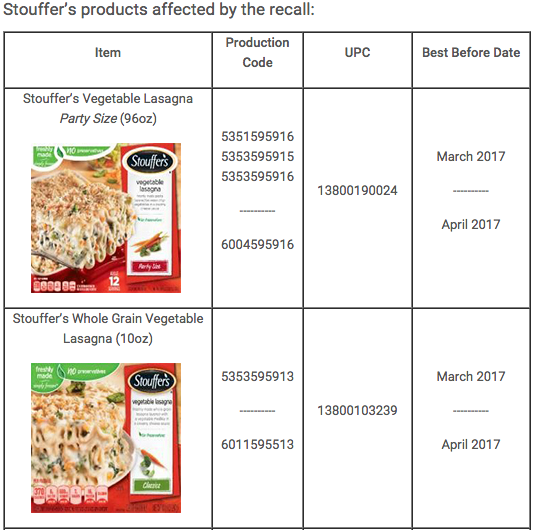 Nestlé USA says several customers found glass in some of the products, though no injuries have been reported. 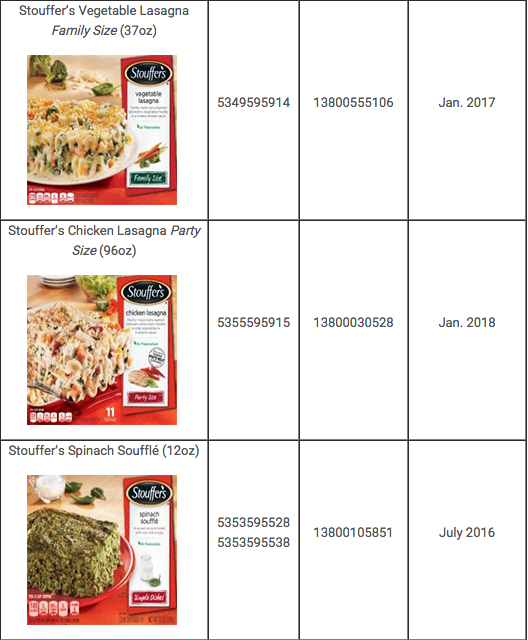 “Although our investigation is ongoing, we believe the source of the glass is spinach that was an ingredient common to the products subject to this recall,” the company said in a press release.